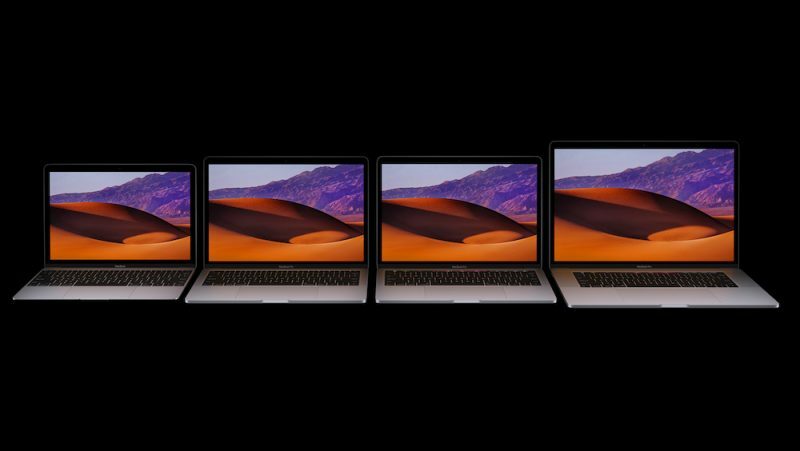 Apple has just refreshed the entire lineup of MacBook at WWDC 2017. This is not a major upgrade, so you won’t be able to see any change in the design or any new feature. The most powerful MacBook is still the MacBook Pro 15 with Touch Bar. It has the same price tag of 2,399 / $2,799 but we receive a few important hardware upgrades like the 7th-generation Intel Kaby Lake processor (Intel Core i7-7700HQ), faster SSD, and Radeon Pro 500 Series GPU. 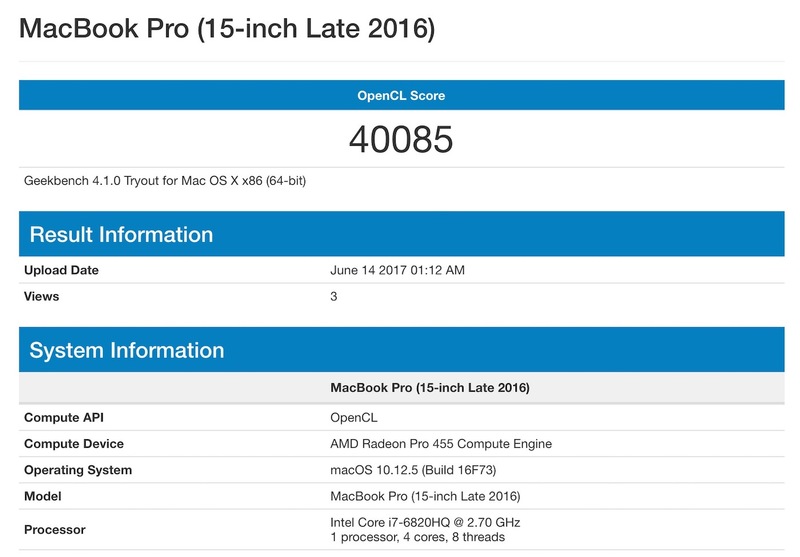 The MacBook Pro 2016 was powered by the Radeon Pro 400 series including the 450 / 455 / 460. 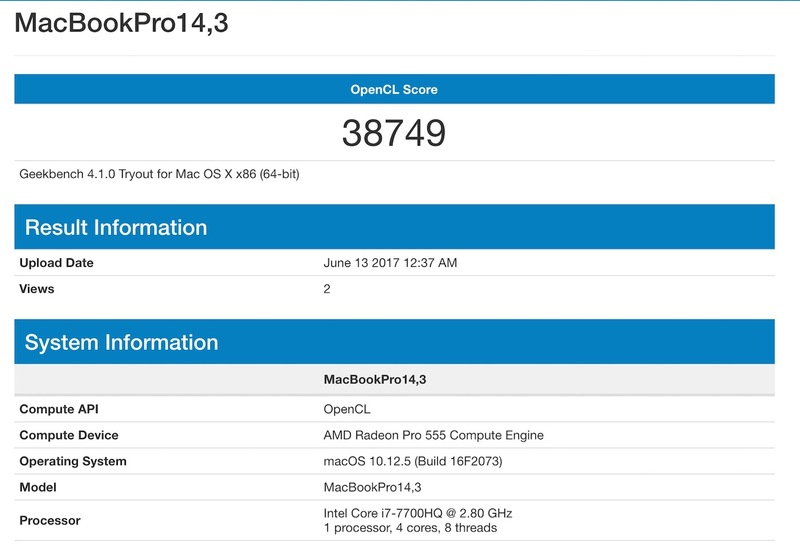 Now, the MacBook Pro 2017 features the more powerful Radeon Pro 500 series. Specifically, we have the Radeon Pro 555 GPU with 2GB video memory or the Radeon Pro 560 with 4GB memory, both are Polaris-based GPUs. We haven’t got full benchmarks yet but according to specs, the improvement in performance might be insignificant. Let’s compare the peak performance, compute units and memory bandwidth among the GPUs. Radeon stated that the 500 series is capable of dealing with heavy workloads like VR experience, 3D modeling/rendering, or multi-stream 4k non-linear editing. However, these only happen when you have the high-end GPUs in the series, such as the Radeon Pro 580 with 36 Compute Units (2304 stream processors) and 5.5 TFLOPS of performance. The bad news is that those GPUs are equipped on the new iMacs only. 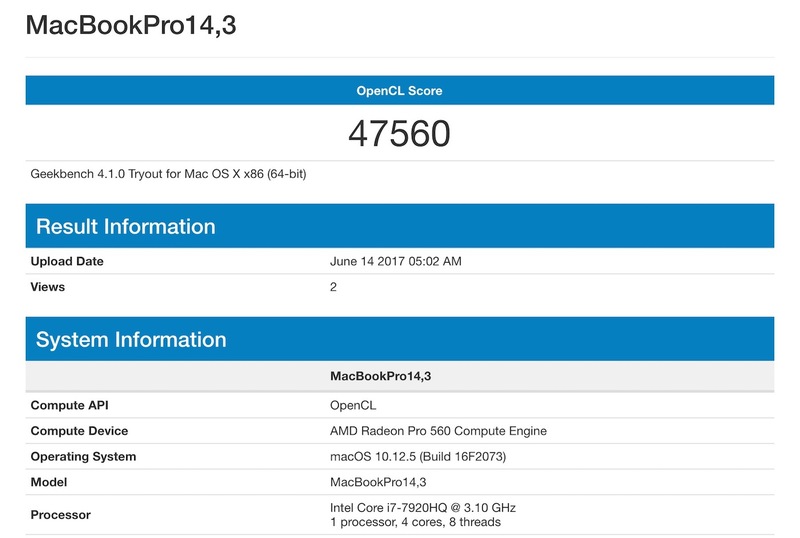 We’ve had some compute scores of the Radeon Pro 555 and 560 on Geekbench. Let’s compare the 2 generations of Radeon Pro GPUs. 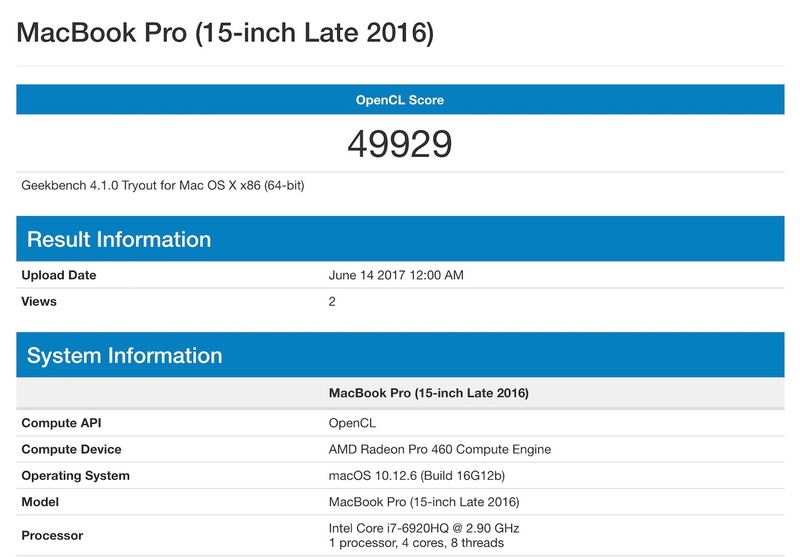 What do you think about the new MacBook Pro’s hardware? Is this the best time to upgrade?